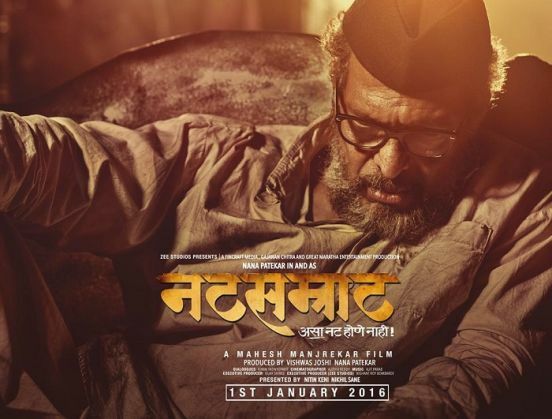 Natsamrat was Nana Patekar's New Year gift to fans of Marathi cinema. And viewers accepted the film with open arms. Natsamrat, which is the official adaptation of Kusumagraj's iconic Marathi play of the same name, opened to rave reviews. The glowing reviews translated into an impressive Box Office performance for the film. Audiences thronged to watch the film - making it one of the top weekend grossers of all time in the history of Marathi cinema. The opening weekend collection of the film stands at a massive Rs 10 crore - which holds the third place after other Marathi hits, Time Pass 2 which earned Rs 11 crore and Lai Bhaari which earned Rs 10.55 crore. Natsamrat released on close to 400 screens in Maharashtra and has more than 1600 shows a day. The film recorded an extra-ordinary occupancy of over 80 per cent over the weekend and also managed to get a strong hold on Monday. The Nana Patekar-helmed film, directed by Mahesh Manjrekar, is looking to breach the Rs 25 crore mark in its lifetime run at the Box Office. Mehbooba to be J&K CM while Mufti in hospital? READ NEXT >> Mehbooba to be J&K CM while Mufti in hospital?